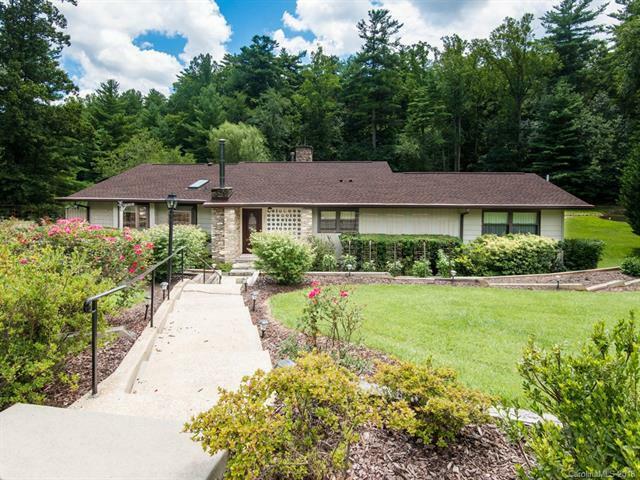 1306 Valmont Drive, Hendersonville, NC 28791 (#3420696) :: Caulder Realty and Land Co. This hidden gem is being offered for the first time in 30 years. 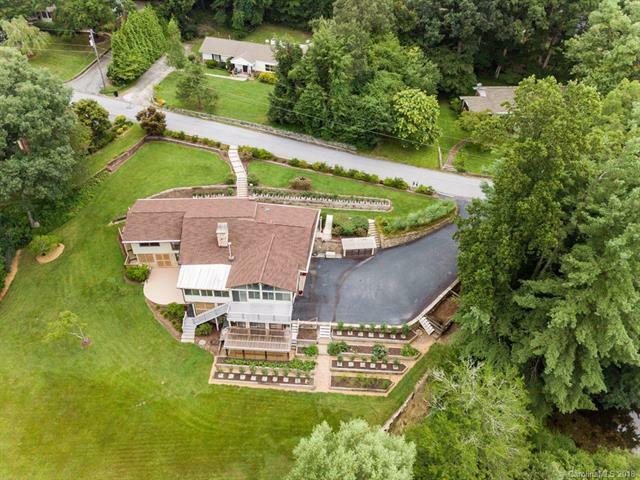 Less than 2 miles to downtown Hendersonville, the immaculate home and incredible lot are a rare find. 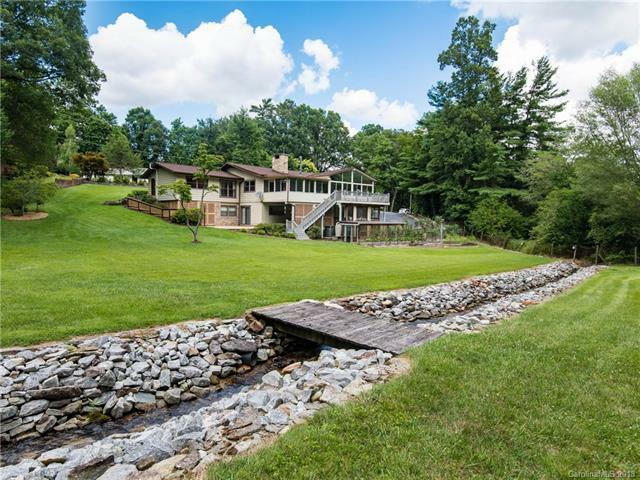 Privacy, serenity and wide open spaces in the heart of Hendersonville. 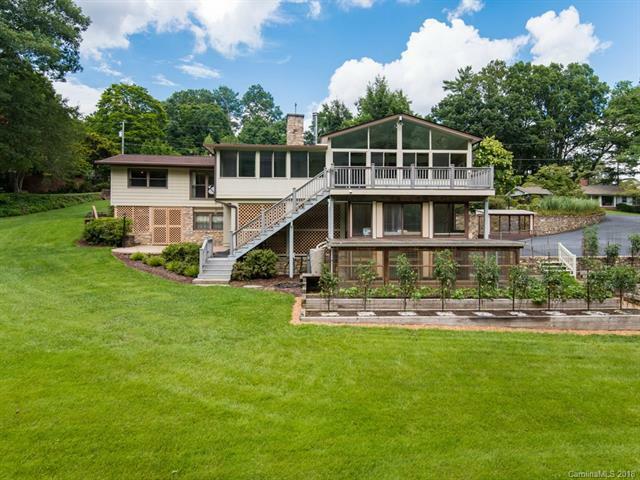 The house is architecturally rich with unique features and many custom finishes; open and bright with an enclosed porch that runs the length of the house. Britton creek flows through the flat 1+- acre lot below that abuts conservation land, providing even more privacy in the back. The lower level is perfect for an in-law suite with it's separate driveway, covered entrance and a patio that opens onto the expansive lawn. But it is the gardens that put this property over the top: 6x6 raised beds already producing peppers, tomatoes and a variety of other vegetables, three green houses, as well as compost bins. Pre-inspected and move-in ready for your convenience! The data relating to real estate on this Web site derive in part from the Carolina Multiple Listing Services, Inc. IDX program. Brokers make an effort to deliver accurate information, but buyers should independently verify any information on which they will rely in a transaction. All properties are subject to prior sale, change or withdrawal. Neither Caulder Realty & Land Co. nor any listing broker shall be responsible for any typographical errors, misinformation, or misprints, and they shall be held totally harmless from any damages arising from reliance upon this data. This data is provided exclusively for consumers' personal, non-commercial use and may not be used for any purpose other than to identify prospective properties they may be interested in purchasing. © 2019 Carolina Multiple Listing Services, Inc. Data last updated 2019-04-26T11:59:14.647.